With the help of Amplitude's insights into user behavior, Patreon optimized the creator page and added the blurred post feature, ultimately leading to a 2x conversion rate on creator pages, helping creators earn more money from their fans. Much of their work on this problem has centered around the pledge flow—the events that tend to take place before a new subscriber signs up to give money to a creator. By using event segmentation and funnel analysis in Amplitude, the team identified the fixes that helped convert more potential subscribers (making the checkout flow more secure, using social proof) and which ones didn’t (“cart abandonment” emails, repeated explanations of what creators do). But the biggest, most impactful change they discovered using Amplitude was that the more entrances to that pledge flow funnel, the more overall subscriptions they were able to drive. In an effort to improve conversions in the pledge flow, they implemented a new page feature called “blurred posts”—unreadable posts from a creator that only become visible after a viewer subscribes. They linked each blurred post to the checkout flow—if you clicked you were prompted to subscribe—and doubled the overall conversion rate on creator pages across all of Patreon. Patreon’s business is aligned with its creators. When they make money, Patreon achieves its business goals. For Patreon, Amplitude is key a provider to user behavior insights that can uncover the power of a simple UX change that doubled conversions across the site. For Patreon, one of the most important qualities in selecting a product analytics tool is that it can be used by anyone on the team to understand user behavior. Amplitude enables that democratic access. At the same time, the power of Amplitude allows the data scientists on the team to dig deeper into the results of A/B tests, a computation, or a raw event stream. As a downstream consumer of app data, the person looking at their product analytics needs to be able to trust that the data they’re looking at is accurate. Amplitude lets Patreon have that peace of mind. Whether it’s data from the mobile, mobile web, or web versions of the product, the data Amplitude sends the Patreon team is clean, effectively named and categorized, and reflective of everything that’s actually happening with their users. The long-term goal for Patreon’s product team is straightforward: help their creators build their own businesses and give them the tools they need to succeed. To do that, Patreon uses Amplitude to understand everything about the subscribers who use their platform—from what UX elements heighten or hamper conversions to exactly how to structure their checkout flow. Patreon’s goal is to help creators make a living. 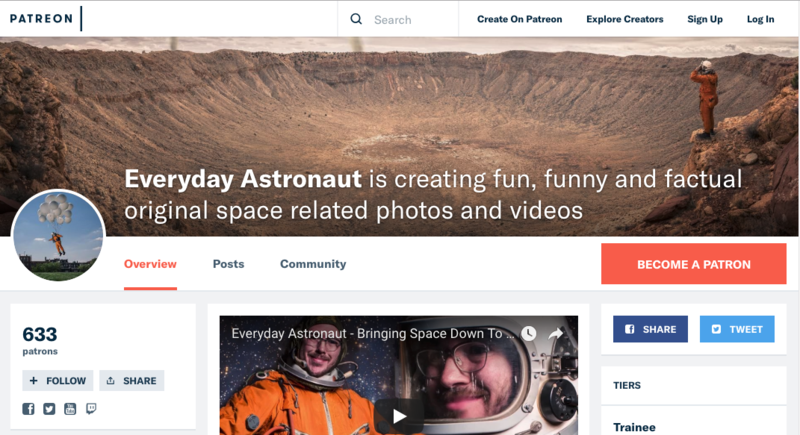 With the challenge of driving more paid monthly subscriptions for creators, Patreon needs the ability to illuminate insights into how creators are using the product in addition to how subscribers behave and the path they take to membership. With Amplitude, every team at Patreon has self-serve access to insights, trust in the fidelity of their data, and the ability to test new ways of helping creators get paid. With the help of Amplitude’s insights into user behavior, Patreon optimized the creator page and added the blurred post feature, ultimately leading to a 2x conversion rate on creator pages, helping creators earn more money from their fans. • Product team can look at a rich set of user behavior metrics at scale, at speed, and across platforms and devices. • Trust in the fidelity of their instrumentation, taxonomy, and ultimately in the accuracy and quality of data. •Simple, self-serve access to insights for the whole team, from design, to engineering, to product management, to data science.